Corrientemente los biopolímeros son biodegradables, frágiles, hidrofílicos y tienen baja resistencia térmica, lo que ha limitado su aplicación comercial. En contraste, los polímeros sintéticos o derivados de recursos no renovables, generalmente de menor costo y de limitada o mínima biodegradabilidad, tienen buenas características mecánicas y térmicas. La mezcla de biopolímeros y polímeros sintéticos proporciona materiales con propiedades intermedias y costos razonables para ciertos usos. Este artículo es una revisión bibliográfica sobre las principales aplicaciones reportadas recientemente para las más importantes mezclas de biopolímeros y polímeros sintéticos biodegradables. La búsqueda de literatura se realizó con la herramienta “Tree of Science” y de manera narrativa. Los resultados mostraron que las mezclas de polímeros alifáticos y polisacáridos son las más usadas en aplicaciones de ingeniería de tejidos biológicos, liberación controlada de medicamentos y en la industria de empaques. Biopolymers are biodegradable commonly, fragile, hydrophilic and have low thermal resistance, which has limited its commercial application. In contrast, synthetic polymers or derived from non-renewable resources generally lower cost and limited or minimal biodegradability, have good mechanical and thermal characteristics. The blend of biopolymers and synthetic polymers provides materials with properties and reasonable costs for certain applications. This article is a literature review on the main applications recently reported for the most important blends of biopolymers and biodegradable synthetic polymers. The literature search was performed with the "Tree of Science" tool and narratively. The results showed that mixtures of aliphatic and polysaccharide polymers are the most used in engineering applications biological tissues, control drug delivery and packaging industry. Universidad Nacional de Colombia, Sede Manizales, Departamento de Ingeniería Industrial, Campus la Nubia Km 4 Vía al Magdalena, AA 127 Manizales, Colombia. Ahmed, T. A., & El-Say, K. M. (2014). Development of alginate-reinforced chitosan nanoparticles utilizing W/O nanoemulsification/internal crosslinking technique for transdermal delivery of rabeprazole. Life Sciences, 110(1), 35-43. 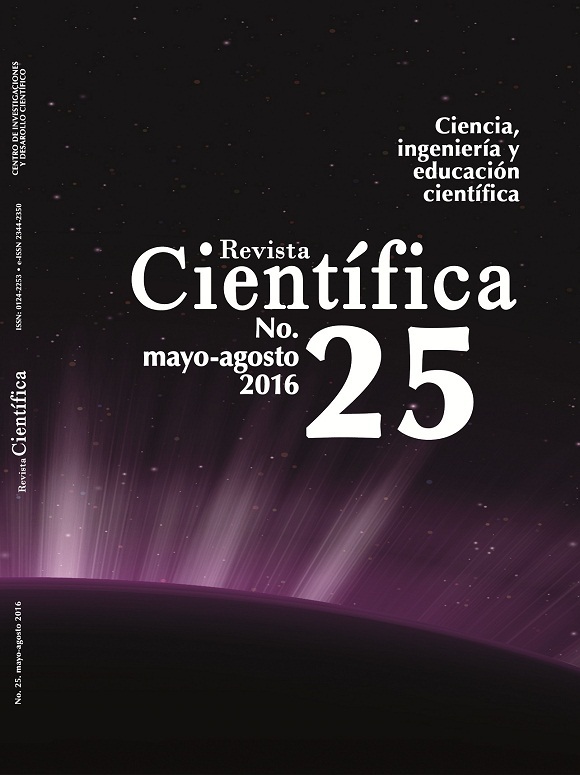 Alcântara, A. C. S., Darder, M., Aranda, P., Ayral, A., & Ruiz-Hitzky, E. (2016). Bionanocomposites based on polysaccharides and fibrous clays for packaging applications. Journal of Applied Polymer Science, 133(2), n/a-n/a. Arrieta, M. P., López, J., Hernández, A., & Rayón, E. (2014). Ternary PLA–PHB–Limonene blends intended for biodegradable food packaging applications. European Polymer Journal, 50, 255-270. Baheiraei, N., Yeganeh, H., Ai, J., Gharibi, R., Ebrahimi-Barough, S., Azami, M., Baharvand, H. (2015). Preparation of a porous conductive scaffold from aniline pentamer-modified polyurethane/PCL blend for cardiac tissue engineering. Journal of Biomedical Materials Research Part A, 103(10), 3179-3187. Brahatheeswaran Dhandayuthapani, Y. Y., Toru Maekawa, a., & Kumar, D. S. (2011). Polymeric Scaffolds in Tissue Engineering Application: A Review. International Journal of Polymer Science, 2011, 19. Brinson, H. F., & Brinson, L. C. (2015). Characteristics, Applications and Properties of Polymers Polymer Engineering Science and Viscoelasticity: An Introduction (pp. 57-100). Boston, MA: Springer US. Cabedo, L., Luis Feijoo, J., Pilar Villanueva, M., Lagarón, J. M., & Giménez, E. (2006). Optimization of Biodegradable Nanocomposites Based on aPLA/PCL Blends for Food Packaging Applications. Macromolecular Symposia, 233(1), 191-197. Cascone, M. G., Barbani, N., P.Giusti, C. C., Ciardelli, G., & Lazzeri, L. (2001). Bioartificial polymeric materials based on polysaccharides. Journal of Biomaterials Science, Polymer Edition, 12(3), 267-281. Cascone, M. G., Sim, B., & Sandra, D. (1995). Blends of synthetic and natural polymers as drug delivery systems for growth hormone. Biomaterials, 16(7), 569-574. Chen, Q., Liang, S., & Thouas, G. A. (2013). Elastomeric biomaterials for tissue engineering. Progress in Polymer Science, 38(3–4), 584-671. Cinelli, P., Chiellini, E., & Imam, S. H. (2008). Hybrid composite based on poly(vinyl alcohol) and fillers from renewable resources. Journal of Applied Polymer Science, 109(3), 1684-1691. Croisier, F., & Jérôme, C. (2013). Chitosan-based biomaterials for tissue engineering. European Polymer Journal, 49(4), 780-792. Dai, N. T., Williamson, M. R., Khammo, N., Adams, E. F., & Coombes, A. G. A. (2004). Composite cell support membranes based on collagen and polycaprolactone for tissue engineering of skin. Biomaterials, 25(18), 4263-4271. Elizalde-Peña, E. A., Flores-Ramirez, N., Luna-Barcenas, G., Vásquez-García, S. R., Arámbula-Villa, G., García-Gaitán, B., . . . González-Hernández, J. (2007). Synthesis and characterization of chitosan-g-glycidyl methacrylate with methyl methacrylate. European Polymer Journal, 43(9), 3963-3969. Ghasemi-Mobarakeh, L., Prabhakaran, M. P., Morshed, M., Nasr-Esfahani, M.-H., & Ramakrishna, S. (2008). Electrospun poly(ɛ-caprolactone)/gelatin nanofibrous scaffolds for nerve tissue engineering. Biomaterials, 29(34), 4532-4539. Giusti, P., Lazzeri, L., Cascone, M. G., Barbani, N., & Cristallini, C. (1995). Bioartificial Polymeric Materials: Natural and Synthetic World Joining in Biomaterials Research. In P. N. Prasad, J. E. Mark, & T. J. Fai (Eds. ), Polymers and Other Advanced Materials: Emerging Technologies and Business Opportunities (pp. 563-569). Boston, MA: Springer US. Gonçalves, F., Bentini, R., Burrows, M., Carreira, A., Kossugue, P., Sogayar, M., & Catalani, L. (2015). Hybrid Membranes of PLLA/Collagen for Bone Tissue Engineering: A Comparative Study of Scaffold Production Techniques for Optimal Mechanical Properties and Osteoinduction Ability. Materials, 8(2), 408. Goonoo, N., Bhaw-Luximon, A., Bowlin, G. L., & Jhurry, D. (2013). An assessment of biopolymer- and synthetic polymer-based scaffolds for bone and vascular tissue engineering. Polymer International, 62(4), 523-533. Hamad, K., Kaseem, M., Ko, Y. G., & Deri, F. (2014). Biodegradable polymer blends and composites: An overview. Polymer Science Series A, 56(6), 812-829. Haq, M., Burgueño, R., Mohanty, A. K., & Misra, M. (2008). Hybrid bio-based composites from blends of unsaturated polyester and soybean oil reinforced with nanoclay and natural fibers. Composites Science and Technology, 68(15–16), 3344-3351. Hassan, C. M., & Peppas, N. A. (2000). Cellular PVA hydrogels produced by freeze/thawing. Journal of Applied Polymer Science, 76(14), 2075-2079. He, Z., & Xiong, L. (2012). Evaluation of Physical and Biological Properties of Polyvinyl Alcohol/Chitosan Blend Films. Journal of Macromolecular Science, Part B, 51(9), 1705-1714. Herdman, R. C. (1993). Biopolymers Making Materials Nature's Way. DIANE, 1-6. Hesselbach, J., & Herrmann, C. (2011). Glocalized Solutions for Sustainability in Manufacturing: Proceedings of the 18th CIRP International Conference on Life Cycle Engineering, Technische Universität Braunschweig, Braunschweig, Germany, May 2nd - 4th, 2011: Springer Berlin Heidelberg. Huq, T., Salmieri, S., Khan, A., Khan, R. A., Le Tien, C., Riedl, B., . . . Lacroix, M. (2012). Nanocrystalline cellulose (NCC) reinforced alginate based biodegradable nanocomposite film. Carbohydrate Polymers, 90(4), 1757-1763. Ikada, Y. (2006). Challenges in tissue engineering. Journal of the Royal Society Interface, 3(10), 589-601. Isabelle Vroman, & Tighzert, L. (2009). Biodegradable Polymers. Materials, 2(2), 307-344. Jain, R., Shah, N. H., Malick, A. W., & Rhodes, C. T. (1998). Controlled Drug Delivery by Biodegradable Poly(Ester) Devices: Different Preparative Approaches. Drug Development and Industrial Pharmacy, 24(8), 703-727. Kahar, A. W. M., Ismail, H., & Abdul Hamid, A. (2015). The correlation between crosslink density and thermal properties of high-density polyethylene/natural rubber/thermoplastic tapioca starch blends prepared via dynamic vulcanisation approach. Journal of Thermal Analysis and Calorimetry, 123(1), 301-308. Kamoun, E. A., Chen, X., Mohy Eldin, M. S., & Kenawy, E.-R. S. (2015). Crosslinked poly(vinyl alcohol) hydrogels for wound dressing applications: A review of remarkably blended polymers. Arabian Journal of Chemistry, 8(1), 1-14. Kasirajan, S., & Ngouajio, M. (2012). Polyethylene and biodegradable mulches for agricultural applications: a review. Agronomy for Sustainable Development, 32(2), 501-529. Katarzyna Leja*, & Lewandowicz, G. (2010). Polymer Biodegradation and Biodegradable Polymers – a Review Polish Journal of Environmental Studies, 19(2), 255-266. Kumbar, S. G., James, R., Nukavarapu, S. P., & Laurencin, C. T. (2008). Electrospun nanofiber scaffolds: engineering soft tissues. Biomedical Materials, 3(3), 034002. Kusleika, R., & Stupp, S. I. (1983). Mechanical strength of poly(methyl methacrylate) cement-human bone interfaces. Journal of Biomedical Materials Research, 17(3), 441-458. Lambert, S. (2015). Biopolymers and Their Application as Biodegradable Plastics. In C. V. Kalia (Ed. ), Microbial Factories: Biodiversity, Biopolymers, Bioactive Molecules: Volume 2 (pp. 1-9). New Delhi: Springer India. Lee, K. E., Morad, N., Teng, T. T., & Poh, B. T. (2012). Development, characterization and the application of hybrid materials in coagulation/flocculation of wastewater: A review. Chemical Engineering Journal, 203, 370-386. Li, J., Zivanovic, S., Davidson, P. M., & Kit, K. (2010). Characterization and comparison of chitosan/PVP and chitosan/PEO blend films. Carbohydrate Polymers, 79(3), 786-791. Li, M., Mondrinos, M. J., Chen, X., Gandhi, M. R., Ko, F. K., & Lelkes, P. I. (2006). Co-electrospun poly(lactide-co-glycolide), gelatin, and elastin blends for tissue engineering scaffolds. Journal of Biomedical Materials Research Part A, 79A(4), 963-973. Liang, J. F., Li, Y. T., & Yang, V. C. (2000). Biomedical application of immobilized enzymes. Journal of Pharmaceutical Sciences, 89(8), 979-990. Lutolf, M. P., & Hubbell, J. A. (2005). Synthetic biomaterials as instructive extracellular microenvironments for morphogenesis in tissue engineering. Nat Biotech, 23(1), 47-55. Mahoney, C., Conklin, D., Waterman, J., Sankar, J., & Bhattarai, N. (2016). Electrospun Nanofibers of Poly(ε-caprolactone)/Depolymerized Chitosan for Respiratory Tissue Engineering Applications. Journal of Biomaterials Science, Polymer Edition, 1-21. Majidnia, Z., & Idris, A. (2015). Evaluation of cesium removal from radioactive waste water using maghemite PVA–alginate beads. Chemical Engineering Journal, 262, 372-382. Mano, J. F., Silva, G. A., Azevedo, H. S., Malafaya, P. B., Sousa, R. A., Silva, S. S., . . . Reis, R. L. (2007). Natural origin biodegradable systems in tissue engineering and regenerative medicine: present status and some moving trends. Journal of The Royal Society Interface, 4(17), 999-1030. Mukhopadhyay, P., Chakraborty, S., Bhattacharya, S., Mishra, R., & Kundu, P. P. (2015). pH-sensitive chitosan/alginate core-shell nanoparticles for efficient and safe oral insulin delivery. International Journal of Biological Macromolecules, 72, 640-648. Nair, L. S., & Laurencin, C. T. (2007). Biodegradable polymers as biomaterials. Progress in Polymer Science, 32(8–9), 762-798. No, H. K., Meyers, S. P., Prinyawiwatkul, W., & Xu, Z. (2007). Applications of Chitosan for Improvement of Quality and Shelf Life of Foods: A Review. Journal of Food Science, 72(5), R87-R100. Orrego A, C. E. (2015). Alternativas innovadoras para la agregación de valor a las frutas colombianas. (Vol. 1). Editorial Universidad Nacional de Colombia, Manizales, Colombia. Ozdil, D., & Aydin, H. M. (2014). Polymers for medical and tissue engineering applications. Journal of Chemical Technology & Biotechnology, 89(12), 1793-1810. P.C. Lee, L.L.H. Huang, L.W. Chen, K.H. Hsieh, & Tsai, C. L. (1996). Effect of forms of collagen linked to polyurethane on endothelial cell growth. J Biomed Mater Res, 32, 645-653. Patrício, T., Domingos, M., Gloria, A., & Bártolo, P. (2013). Characterisation of PCL and PCL/PLA Scaffolds for Tissue Engineering. Procedia CIRP, 5, 110-114. Pillai, O., & Panchagnula, R. (2001). Polymers in drug delivery. Current Opinion in Chemical Biology, 5(4), 447-451. Ramaraj, B. (2007). Crosslinked poly(vinyl alcohol) and starch composite films: Study of their physicomechanical, thermal, and swelling properties. Journal of Applied Polymer Science, 103(2), 1127-1132. Reddy, M. M., Vivekanandhan, S., Misra, M., Bhatia, S. K., & Mohanty, A. K. (2013). Biobased plastics and bionanocomposites: Current status and future opportunities. Progress in Polymer Science, 38(10–11), 1653-1689. Robledo Giraldo, S., Osorio Zuluaga, G. A., & López Espinosa, C. (2014). Networking en pequeña empresa: una revisión bibliográfica utilizando la teoría de grafos. Revista Vinculus, 11(2), 6-16. Rogovina, S. Z., & Vikhoreva, G. A. Polysaccharide-based polymer blends: Methods of their production. Glycoconjugate Journal, 23(7), 611-618. Sadi, R. K., Kurusu, R. S., Fechine, G. J. M., & Demarquette, N. R. (2012). Compatibilization of polypropylene/ poly(3-hydroxybutyrate) blends. Journal of Applied Polymer Science, 123(6), 3511-3519. Sahoo, S., Sasmal, A., Nanda, R., Phani, A. R., & Nayak, P. L. (2010). Synthesis of chitosan–polycaprolactone blend for control delivery of ofloxacin drug. Carbohydrate Polymers, 79(1), 106-113. Sahoo, S., Sasmal, A., Sahoo, D., & Nayak, P. (2010). Synthesis and characterization of chitosan-polycaprolactone blended with organoclay for control release of doxycycline. Journal of Applied Polymer Science, 118(6), 3167-3175. Sionkowska, A. (2011). Current research on the blends of natural and synthetic polymers as new biomaterials: Review. Progress in Polymer Science, 36(9), 1254-1276. Soroudi, A., & Jakubowicz, I. (2013). Recycling of bioplastics, their blends and biocomposites: A review. European Polymer Journal, 49(10), 2839-2858. Srivastava, G., Roy, S., & Kayastha, A. M. (2015). Immobilisation of Fenugreek β-amylase on chitosan/PVP blend and chitosan coated PVC beads: A comparative study. Food Chemistry, 172, 844-851. Tanase, C. E., & Spiridon, I. (2014). PLA/chitosan/keratin composites for biomedical applications. Materials Science and Engineering: C, 40, 242-247. Tang, S., Zou, P., Xiong, H., & Tang, H. (2008). Effect of nano-SiO2 on the performance of starch/polyvinyl alcohol blend films. Carbohydrate Polymers, 72(3), 521-526. Tang, X. Z., Kumar, P., Alavi, S., & Sandeep, K. P. (2012). Recent Advances in Biopolymers and Biopolymer-Based Nanocomposites for Food Packaging Materials. Critical Reviews in Food Science and Nutrition, 52(5), 426-442. Thanpitcha, T., Sirivat, A., Jamieson, A. M., & Rujiravanit, R. (2006). Preparation and characterization of polyaniline/chitosan blend film. Carbohydrate Polymers, 64(4), 560-568. Tharanathan, R. N. (2003). Biodegradable films and composite coatings: past, present and future. Trends in Food Science & Technology, 14(3), 71-78. Torres-Huerta, A. M., Palma-Ramírez, D., Domínguez-Crespo, M. A., Del Angel-López, D., & de la Fuente, D. (2014). Comparative assessment of miscibility and degradability on PET/PLA and PET/chitosan blends. European Polymer Journal, 61, 285-299. Tripathi, S., Mehrotra, G. K., & Dutta, P. K. (2009). Physicochemical and bioactivity of cross-linked chitosan–PVA film for food packaging applications. International Journal of Biological Macromolecules, 45(4), 372-376. Van den Broek, L. A. M., Knoop, R. J. I., Kappen, F. H. J., & Boeriu, C. G. (2015). Chitosan films and blends for packaging material. Carbohydrate Polymers, 116, 237-242. Venugopal, J. R., Low, S., Choon, A. T., Kumar, A. B., & Ramakrishna, S. (2008). Nanobioengineered Electrospun Composite Nanofibers and Osteoblasts for Bone Regeneration. Artificial Organs, 32(5), 388-397. Vroman, I., & Tighzert, L. (2009). Biodegradable Polymers. Materials, 2(2), 307. Wolf, M. T., Dearth, C. L., Sonnenberg, S. B., Loboa, E. G., & Badylak, S. F. (2015). Naturally derived and synthetic scaffolds for skeletal muscle reconstruction. Advanced Drug Delivery Reviews, 84, 208-221. Yang, C., Hillas, P. J., Báez, J. A., Nokelainen, M., Balan, J., Tang, J., . . . Polarek, J. W. (2012). The Application of Recombinant Human Collagen in Tissue Engineering. BioDrugs, 18(2), 103-119. Yu, L., Dean, K., & Li, L. (2006). Polymer blends and composites from renewable resources. Progress in Polymer Science, 31(6), 576-602. Zain, N. A. M., Suhaimi, M. S., & Idris, A. (2011). Development and modification of PVA–alginate as a suitable immobilization matrix. Process Biochemistry, 46(11), 2122-2129. Zeeshan Sheikh, Shariq Najeeb, Zohaib Khurshid, Vivek Verma, Haroon Rashid, & Glogauer, M. (2015). Biodegradable Materials for Bone Repair and Tissue Engineering Applications. Materials, 8(9), 5744-5794. Zhang, J.-F., & Sun, X. (2004). Mechanical Properties of Poly(lactic acid)/Starch Composites Compatibilized by Maleic Anhydride. Biomacromolecules, 5(4), 1446-1451. Zhang, Y., Chan, H. F., & Leong, K. W. (2013). Advanced materials and processing for drug delivery: The past and the future. Advanced Drug Delivery Reviews, 65(1), 104-120.